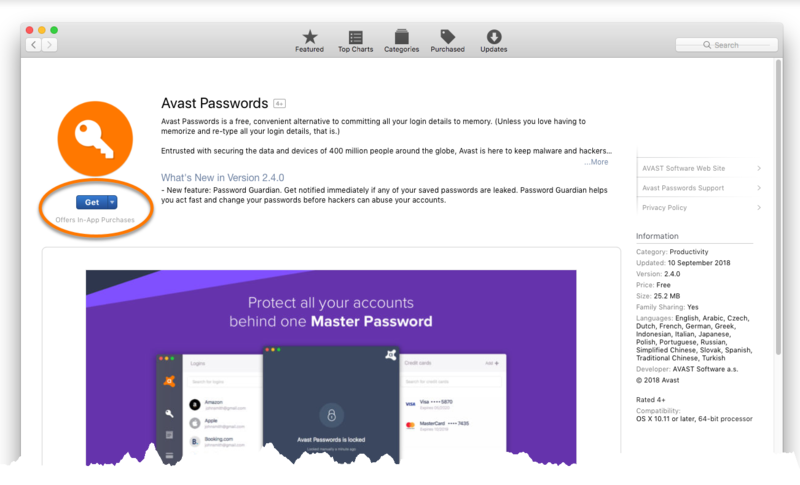 Avast Passwords for Mac is a password and data manager that allows you to securely store sensitive information in one place. You can use Avast Passwords to quickly fill in web forms and access your online accounts. If you already have Avast Security for Mac installed and you did not uncheck the download option for Avast Passwords during the Avast Security installation, then Avast Passwords is already installed on your Mac. To open Avast Passwords, go to Tools in Avast Security and click Open in the Avast Passwords section. If you already use Avast Security for Mac but you unchecked the download option for Avast Passwords during the Avast Security installation, then follow the steps in the Avast Security section below to install Avast Passwords. 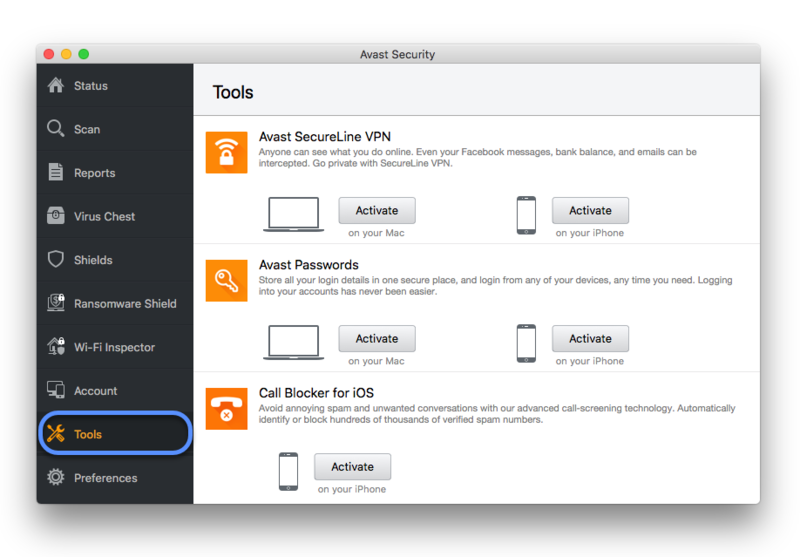 If you do not use Avast Security for Mac, then you need to download and install Avast Passwords from the App Store. Follow the steps in the App Store section below to download and install Avast Passwords. Open Avast Security and click Tools on the left panel. 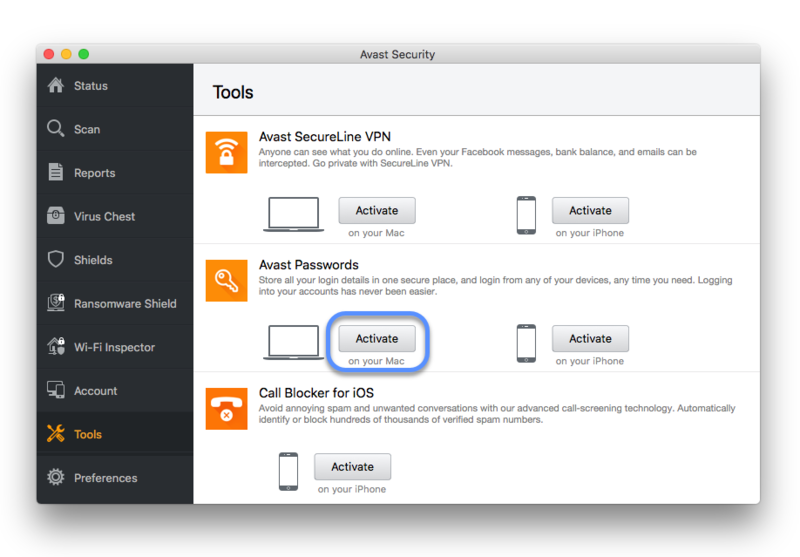 Click Activate next to the Mac icon in the Avast Passwords section. This option installs Avast Passwords. If prompted, use your Touch ID or enter your Apple ID and password to grant permission for the installation. Open the App Store and search for Avast Passwords. Click the Get button to download the app. Once the button has changed to Install App, click it again. Once the button has changed to Open, click it again. Once Avast Passwords is installed, you can open it directly by clicking the app icon on the menu bar and selecting Open Avast Passwords. Apple macOS 10.14.x (Mojave), Apple macOS 10.13.x (High Sierra), Apple macOS 10.12.x (Sierra), Apple Mac OS X 10.11.x (El Capitan). Restart your Mac and try again to install Avast Passwords by following the instructions in this article.